spectrum of commercial and residential types. Projects focus on the development, construction and sale of select residential and commercial real-estate investments where significant profit potential is identified. The group employs over 30 people, spread across four countries: Israel, Poland, Czech Republic, and Romania. The considerable experience of the management team allows for carefully planned projects that are executed on time and to the highest standards. Management also sets a progressive strategy for future growth. Owned and managed by the Benshach family, Petrolgas was founded in the 1950’s. Petrolgas is a leading Israeli energy company that controlled 40% of the domestic gas market in the 90’s. 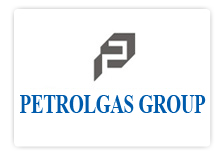 Petrolgas has expanded its activities into the real-estate markets of Israel, Romania, France and Poland. The Group is active in various commercial, industrial and real-estate developments and investments worldwide. 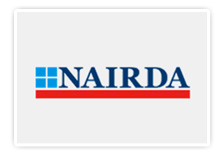 Nairda Group, established and co-owned by Eddie Arditi and Sabi Bar Noy, develop large-scale multi-million dollar ventures in various industries, including the Oil, Hospitality and Finance sectors. Nairda’s high capabilitites in Project Management – specifically coordinating complex, fast-tracked mega-projects – combined with financing, construction and engineering resources, facilitated its expansion into a major infrastructure company.